How to request a private room? In the name of whole Admin Team we would love to wish you Happy Valentine’s Day – the day of love, embracing your love ❤. 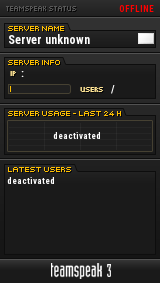 sadly we have to terminate our Minecraft server on 24.2.2018. The reason for it is the lack of funding and persisting lack of interest from players. Even tho we are deeply sorry for it, we have no other options to this date and after discussing this matter amongst our Admin Team members we have decided to terminate our Minecraft Server. However, all the data (map etc.) will be conserved in case we find someone able and willing to dedicate themselves to the project 100%, there is no problem from Admin Team to be granted an opportunity to do so. I wish you all lots of achievements, both in games and in our life. From Admin Team – Oda. There was much more applications than I anticipated, and as such its a success for us. The people who applied are very well known to me, and that is why I had no issues accepting their applications (with one exception). Trial period is for those people with who Im not sure how they will manage their new duties, but have no problem having them stay if they prove themselves to be a great addition to our team. I would also like to ask if it is possible to make appointment with all of those accepted so we can help you learn your newly acquired duties. In order to do so I would love if you would send me times you are available for this via email on admin@ts3antyserver.eu. If I dont recieve any email from you regarding a different time than is announced Im going to expect your attendance. The time you are required to come is 19:30, tomorrow 17.1.2018 on our TeamSpeak server. Good luck & have fun while gaming. we got new TeamSpeak server, so all the more reason to get new faces in our Admin Team. What Im offering? Great collective and off course positions such as – Server Admin, Helper, Music Bot Dj, Music Admin or Web Moderator. The only requirement is to have some common sense, will to help, experience with TeamSpeak and thorough knowledge of the rules. Of course admins are no exemptions to those rules and breaking them will result in the same punishment as it will for non-admin players, so dont abuse the power you might be given. No time to waste, just send us your application to our Forum pages for Website, TeamSpeak server or Music Bot where you will create a new topic stating the position you would like to acquire and your nickname. It should contain some personal information nad a reason why should you join us in our AdminTeam! Good luck & have fun, AnTy! Autor OdaNobunagaPublikované 6. januára 2018 21. marca 2018 Kategórie NezaradenéNapíšte komentár k Admin Team is recruiting! We would love to wish from our hearts all the best, lots of happines and health and also success in the new year. This year we achieved many success ourselves, such as creating our own TeamSpeak3 server, creation of our websites, and a functioning Minecraft server. We are so glad that we were able to create such a big, functioning and lovely community and are hoping that our numbers will only grow. Autor OdaNobunagaPublikované 31. decembra 2017 21. marca 2018 Kategórie NezaradenéNapíšte komentár k Happy New Year!